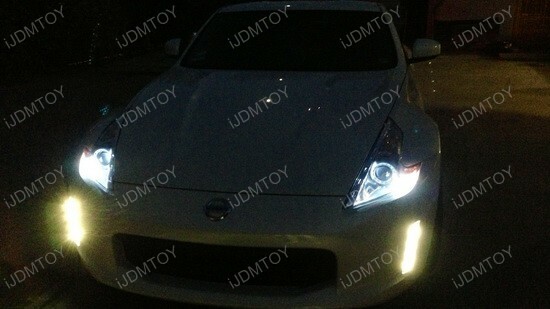 There are many newer vehicles that come with factory equipped daytime running lights, but there are more and more vehicles that are becoming equipped with LED daytime running lights; an example would be the 2013+ Nissan 370z. The 2013 and up models come with a vertically installed LED daytime running lamp on the sides of the front bumper that are on during the day and turn off at night when the low beam headlights are on. 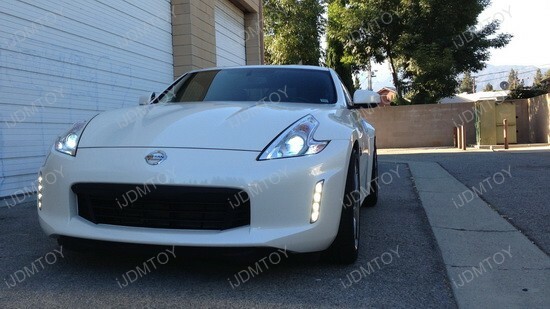 Our DRL Enabling Kit will allow the DRLs to be on with the low beam headlights at night. 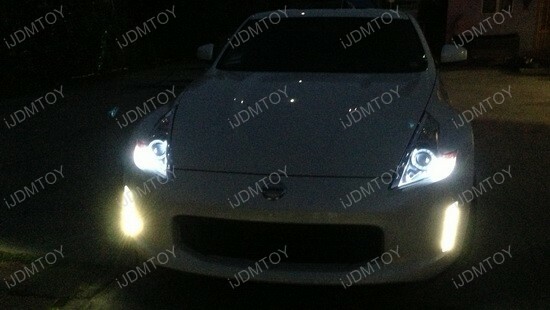 The daytime running lamps are on during the day usually, hence their name, but for vehicles like the 2013+ Nissan 370z where the bumper does not have a location for fog lights, these are a logical solution for fog lights during the night as well. 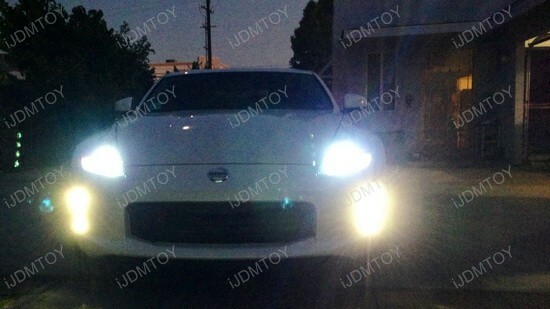 Our LED DRL Enabling Kit will draw power from the parking lights in the headlights to keep the lights on during the night with the headlights. The kit comes with quick splices for an easy installation so nearly everything is provided to do the job; all that needs to be provided is zip ties and electrical tape which is something every DIY-er should already have in their possession. 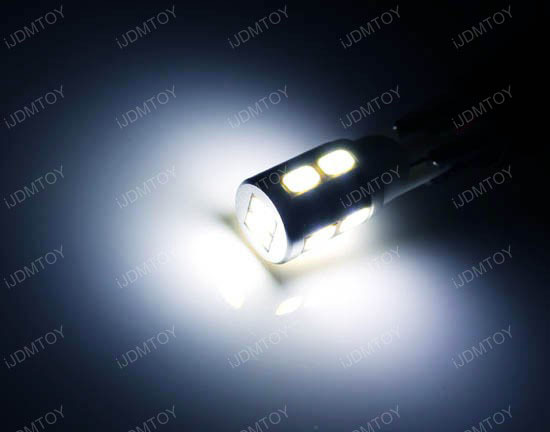 The LED DRL Enable Kit also comes with our popular 10-SMD 5730 T10 LED bulbs as well that change the color of the factory incandescent yellow to a more up-to-date 6000K Xenon White which will closely match the color of the factory LED daytime running lights. 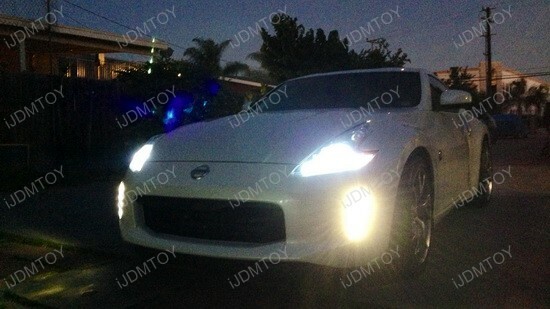 Use this kit to turn your 370z’s daytime running lights into how the European vehicles operate, by allowing it to be on during the night and day.